Are you in the Los Angeles area and in need of a ﻿fence i﻿nstallation for your industrial or commercial property or business? 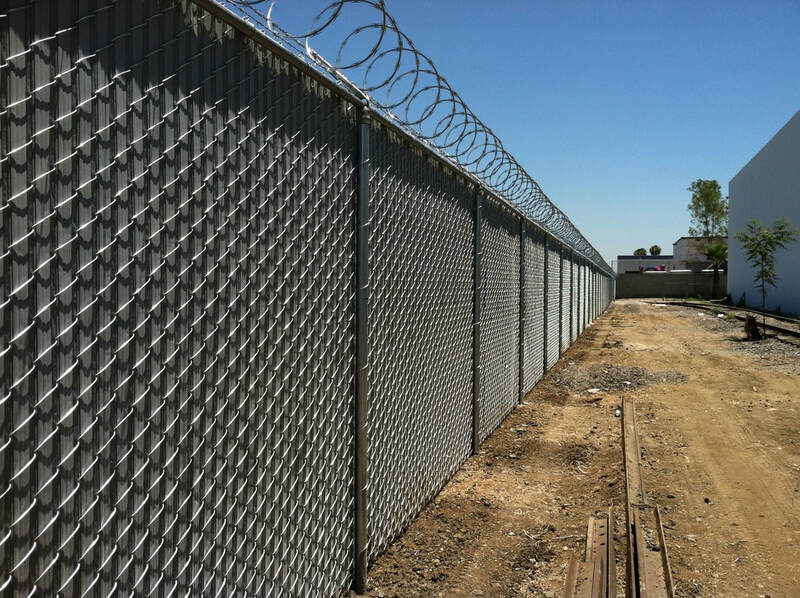 DeFence Company proudly offers : Outdoor Perimeter Fencing, Indoor Warehouse Chain Link Enclosures, Chain Link Storage, Barbed Wire Install, Privacy Link, Wrought Iron and Railing, Razor Ribbon, Privacy Screens, Gate Operators and key pad entry, Panic Bars & Door Closers, Vinyl Coated Chain Link, Safety and Bumper Post Bollards, Emergency Repairs. Give us a call, we'll provide you the very best service in our industry. Call Today for your Free Quote, we are always happy to help you. (626) 338-2288. Certified Local Small Business Enterprise (LSBE) with Los Angeles County. DIR Registered, Public Works Ready. Disadvantage Business Enterprise (DBE) Certified. Our Family comes from a long line of Fence Men. Since the 1970's our affiliation of fence installation runs thru our blood. Now working on the 3rd generation of Fence Pros-You can count on that experience you need. Over 20 years industry experience and proudly mentored in this business over 30 years. We are a family owned and operated business serving the Greater Los Angeles area and San Gabriel Valley. We pride ourselves in providing the Best Service, Best Prices, Quality Products and Craftsmanship. Call us today for a free estimate and we are ready to earn your business.